Retro-styled twin-stick shooter Enter the Gungeon has had an amazingly successful launch. Developers Dodge Roll have tweeted that the quirky action title has already accumulated over 75,000 sales in just two weeks. 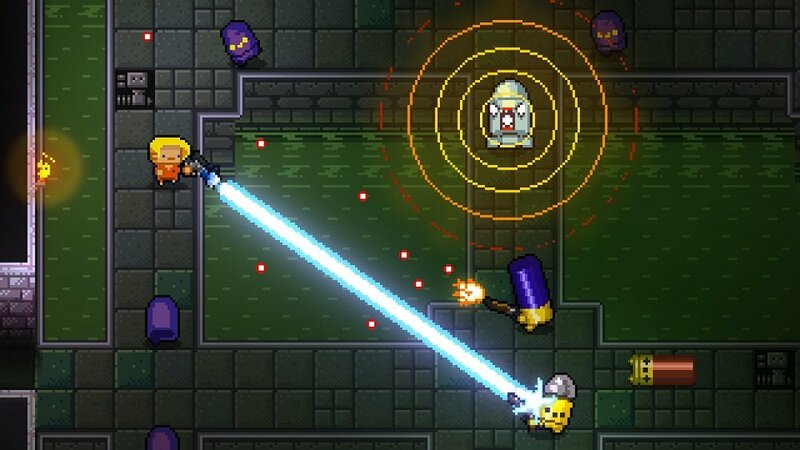 Enter the Gungeon -- which features awesome music by Doseone and is published by industry bad-boys Devolver Digital -- has one or two players run 'n' gun their way through procedurally generated dungeons taking on swarms of enemies. Despite the game originally releasing on multiple platform in the Spring of 2016, clearly the title still has legs, given its instant popularity on Nintendo's baby. Gungeon is a game that feels custom-designed for the Switch, to be fair, given teh console's portability and control layout. It also doesn't really break the bank at around $15 in price. Enter the Gungeon is available now on Switch, PS4, PC, Xbox One and Mac.